Passionate instructors mean that your classes are energetic, unique and taught with knowledge of today’s best fitness practices. Both primary instructors, Kerry Monteiro and Sarah Dresser, have earned their 2nd Degree Black Belt in Mixed Martial Arts, and have continued training beyond this. 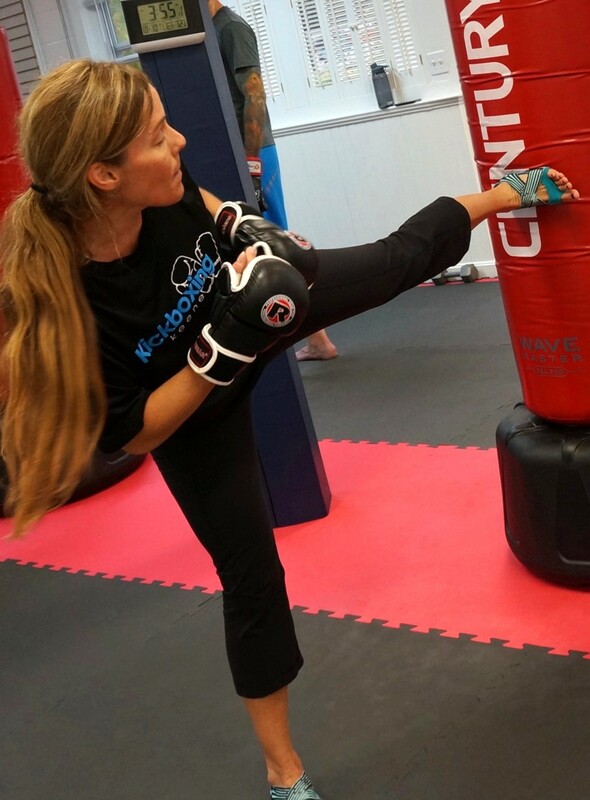 Kerry and Sarah are skilled and motivated to help you get the most out of every kickboxing class, to safely reach new fitness levels and add a fun variety to your existing routine. Martial Arts Background: I have been an avid fitness enthusiast for 20+ years, with 11+ years experience in Mixed Martial Arts. Kickboxing classes are popping up nationwide, advertising like it’s a newly found phenomenon, or a fad. Realistically, this is a sport that’s been around for 250 years. As an avid fitness enthusiast all of my life, with 11+ years experience in Martial Arts, I love the whole package! My goal with Kickboxing Keene is to provide the amazing fitness benefits of kickboxing, while also having fun and avoiding injury, all without combat or sparring. When you will stick with it for the long haul! My Mantra: If you want to be healthy, you have to use your body. Period, end of story. The hardest part really is walking through the door. 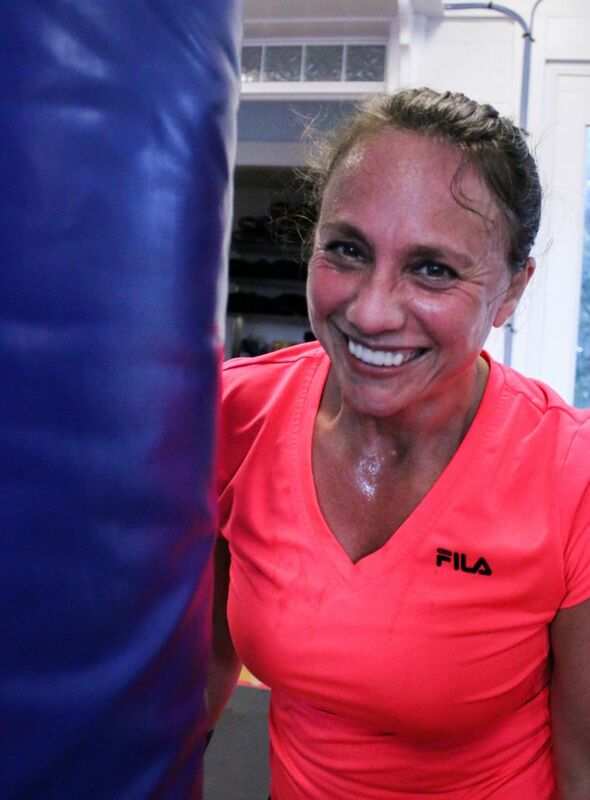 My Motivation: I love knowing that people of all ages, sizes and fitness levels can excel at Kickboxing Keene. Knowing I’m making a difference, even for people who never loved to exercise before, keeps me motivated to improve the classes I teach every day. It’s rewarding to know how much our classes help people in their every day lives too. My Teaching Style: High energy!! Please smile and have fun, BUT you better be working hard. You will sweat, a lot. I love kickboxing and sharing it with the people around me. I’ve been training in Martial Arts for 11+ years, and my background in Mixed Martial Arts which encompasses Muay Thai Kickboxing, Brazilian Ju-Jitsu, and Judo. I’m also a Certified Sensei, teaching both adults and children for the past 7 years. I manage and teach the Keene YMCA Kids Mixed Martial Arts program, where the kids range from age 5 through age 17. Teaching is a huge stress reliever for me, a time I’m able to put all of life’s problems on the back burner, and focus on my class. I love passing on to others the feeling of confidence and self-empowerment that comes with the workout. My Mantra: We all need a positive outlet to reduce stress, while getting an intense, fun workout. Embrace the muscle memory you learn from basic punch and kicking combinations, which can be used in self defense if life depends on it. My Motivation: Let’s face it, I’m not getting any younger! I want to stay healthy and in shape. I also love teaching something that I am so incredibly passionate about. It’s very rewarding to watch someone gain amazing physical and mental results and increase his or her self-confidence all around. My Teaching Style: Energetic and hard-working, with a great sense of humor. I’m a fun drill Sargent!